Figure 2. 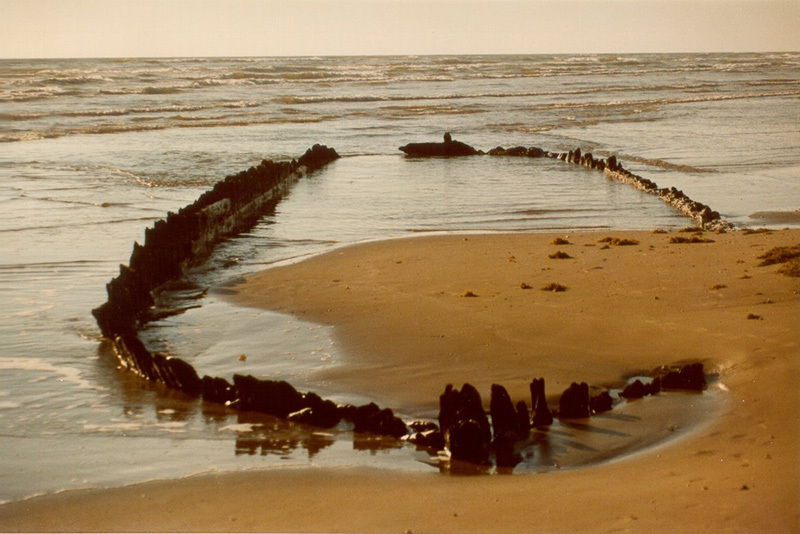 Boca Chica Shipwreck No. 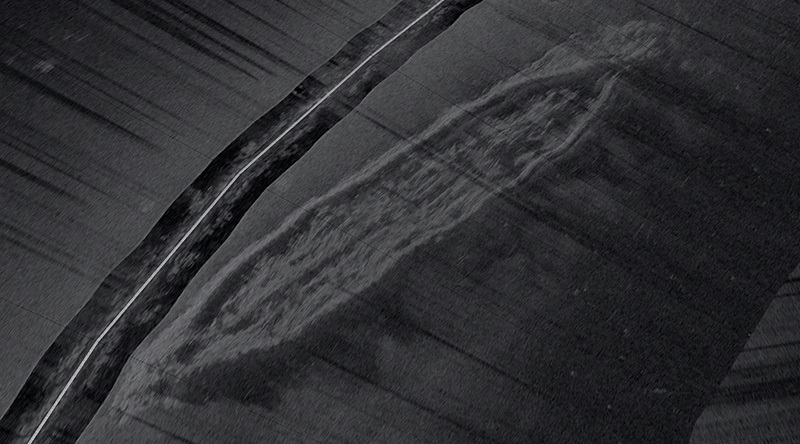 1 in December of 2017: (a) facing northwest with the sternpost in the foreground; (b) view from the “bow” to the sternpost showing the baseline tape and positions of some of the frames exposed through excavation. Figure 3. Framing Section, Artifact No. 33: (a) interior view on beach; (b) detail of exterior in storage on Keith Reynolds property. (Photo 3(a) by Keith Reynolds). Figure 4. 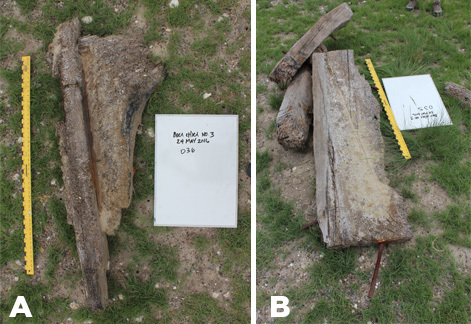 Shipwreck features: (a) hanging knee with possible deck beam; (b) lodging knees. Figure 6. Site 41JF103 (Image courtesy of TWPD). If you like this post, please subscribe to to the Texas Historical Commission’s blog via RSS or email.